Many of us have experienced a migraine or headache episode at least once in their life. Some of us have experienced them at least once per month, others may experience them on a daily basis. The triggers are many and varied. They can include sleep disturbances, certain foods like cheese and chocolate, alcohol and smoking, poor posture, tight neck and shoulder muscles and emotional stress. Migraines & headaches are not normal! ✔ If causes of headaches are not relieved at their early stages, they may lead to further complications on a psychological level, including irritability and depression. If headaches and migraines are not relieved at their early stages, they may lead to further complications on a psychological level, including irritability and depression. Due to the variety of causes for headaches and magraines, it is important that treatment is pursued at an early stage to prevent further complications. A combination of chiropractic and supplementary treatments may be effective in treating your headache or migraine. 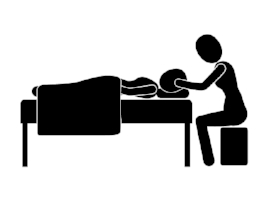 Manual spinal manipulation and exercise rehabilitation are applied in order to get you out of pain, create a great spinal column alignment and restore optimum function in the hope of dealing with the symptoms of migraine or headaches, and prevent their reoccurrence. If you have any further enquiries about Macquarie Chiro’s treatment for migraines or headaches, or about our other services, feel free to get in contact with our friendly team of staff. We are committed to providing an exceptional standard of patient service and support. You can reach us by calling 02 8875 7998 or by filling out an online enquiry form and we’ll get back to you as soon as possible. Our clinic is conveniently located for residents of Marsfield, North Ryde, Macquarie Park and surrounding suburbs. We look forward to seeing you.